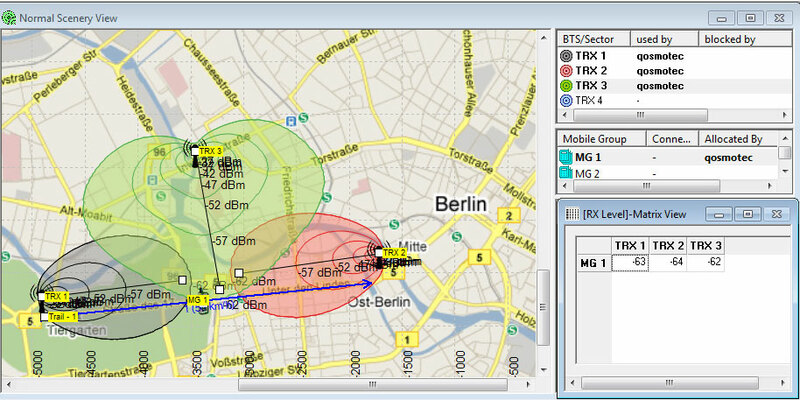 The Qosmotec handover test system QPER is a versatile test platform for emulating the RF signal between radio devices in a wireless network, e.g., between mobile stations and radio infrastructure of a mobile network. It is employed in test beds where radio signals are transmitted through coaxial cables and specifically manipulated by testers. QPER can be based on various hardware platforms, from attenuator arrays to digital channel emulators. 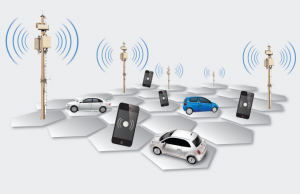 The QPER software is based on the virtual drive test approach: The user can simulate drive tests through a virtual landscape with GPS referenced maps where he can freely position network infrastructure elements as well as mobile devices. In the maps, you can draw driving routes and simulate a movement of network subscribers with various speed, or you can even feed it with GPS recordings from really driven routes. Various signal propagation models can be applied to calculate signal strength, channel coefficients, and other radio channel effects (Doppler, Delay, Multipath etc.) and apply them on the underlying hardware platform. digital channel emulators that enable the replication of all propagation effects that occur during signal transmission. Qosmotec additionally offers a core network emulator for 2G and 3G applications, configurable by the QPER software. The combination with the handover test system makes up a powerful mobile network emulator for laboratory environments. All hardware platforms are available for frequencies covering all terrestrial mobile communication standards from 300 MHz up to 6 GHz.